Hanoi (VNA) - Hanoi's police plan to increase inspections to uncover human trafficking rings, focusing on interprovincial and transnational criminals. This is among measures to be taken by Hanoi's police as part of a plan on human trafficking prevention during the 2017-2020 period. Police will also accelerate investigation and prosecution of human trafficking cases, aiming to increase the number of cases being prosecuted by at least two percent each year. 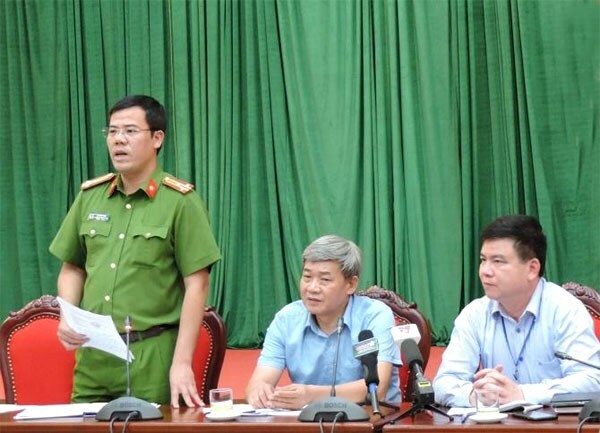 Police will work with ministries and agencies to fight human trafficking, with a focus on human trafficking in all forms, including foreigners or overseas Vietnamese pretending to be businessmen or tourists to enter Vietnam to traffic people. Human trafficking hot spots include road and railway routes linking Hanoi to border provinces and international air routes. Through investigation and prosecution, police will find loopholes in current regulations and propose changes to improve legal documents and policies. The project also aims to diversify means of communications and education and multiply effective prevention models in the community. Le Khac Son, deputy director of Hanoi Police Department’s Division of Criminal Investigation in Social Order, said at a recent conference that human trafficking in the capital city has become a complicated issue. The number of people coming to Hanoi from other provinces to seek jobs keeps increasing, leading to a boom of establishments doing “sensitive” business such as bars, restaurants, hotels, massage parlours and karaoke bars. These factors aided the work of traffickers, he said. The acceleration of transport and trade between Vietnam and China as well as with other countries in the region also increased the risk of human trafficking, he added. In 2016 and the first quarter of 2017, authorities nationwide uncovered 430 cases of human trafficking, involving 600 accused and 1,500 victims. Some 85 percent of the victims were to be sold to other countries, mainly to China. They were sold to men seeking wives in many countries such as China, Malaysia and the Republic of Korea, or to bear children or work as prostitutes in these countries. Prime Minister Nguyen Xuan Phuc last year approved a programme to tackle human trafficking in the 2016-2020 period. The programme will be carried out across Vietnam as well as bordering countries such as Cambodia, Laos and China in accordance with domestic and international law. It aims to enhance public awareness of fighting human trafficking, step up the detection, investigation and prosecution of cases, as well as protect and support victims.